This is an opportunity for Christian moms of 6th graders through college students to connect, support, and encourage one another as they raise teenagers. In addition to fellowship, the group supports the local non-profit, Take Charge. Period., by collecting and donating feminine hygiene products for under-served women and girls. Please join CONFIRMATION TO COLLEGE MOMS in Fellowship One. Click on the date to RSVP online. 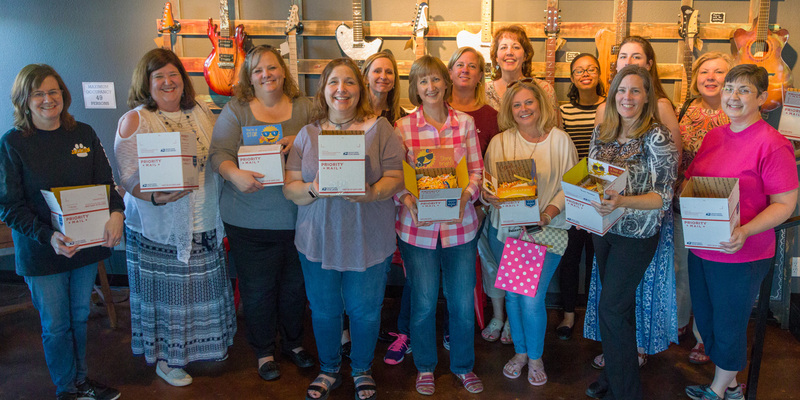 Moms with children in college get together once a semester to contribute items and assemble care packages for FUMCR's college students. Please join COLLEGE MOMS in Fellowship One. The 2019 Spring Care Package Party was Feb 4. Check back in September for the Fall Party date and details.